Every month, Fulbridge interviews an ETA from around the world to get a glimpse of what life is like in different placements. 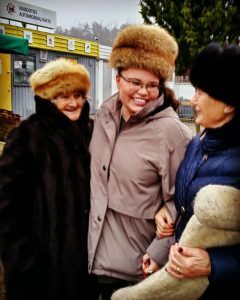 This month, Samantha Steiner, a 2017 ETA in Argentina, and Lisa Gagnon, a 2017-2018 ETA in Latvia, talked with Veronica Pidduck, one of Lithuania’s inaugural 2017-2018 ETA group. I applied to Lithuania because my great-grandparents came from Kaunas, Lithuania, to the United States for work about 120 years ago. I am so lucky to be the first of my family members to return to Lithuania. I was familiar with Lithuania’s rich history and had a deep will to reconnect with my family roots while participating in such a wonderful, unique program. How is Lithuania different from the U.S.? One of my favorite aspects of life in Lithuania is the country’s appreciation of its history and its strength in overcoming such a tumultuous past. Compared to the United States, Lithuania is an old country (first mentioned in literature from the year 1009). I am so proud to be an American, and I appreciate my life in the U.S. However, I am struck by the overall core values of religion, family, and traditions in Lithuania. On all weekdays, I work at a school with 2nd-8th grade students. I also teach three additional classes which usually meet once per week: for border guards at the nuclear power plant; headmistresses and intermediate adults; and beginner pensioners. In the afternoons, I usually have a choir practice, activity, or meeting. At night, I go to cultural events and catch up on my lesson plans and emails. When I am not doing these things, I am busy organizing my school’s 1st annual Spelling Bee which is affiliated with the Lithuanian National Spelling Bee; serving as a judge for an essay contest, debate, or presentation; or attending/presenting at one of the 10+ conferences or seminars in which I have participated. Outside of teaching in the classroom, Veronica has participated in many events and conferences, including the Gerosios Vilties school’s 35th Jubilee celebrations. How do you connect with your community outside of your formal responsibilities? Outside of the classroom, I am an active community member in my placement town of Visaginas, located on the north-eastern edge of Lithuania. I am a part of the Culture Center’s Folklore Ensemble, Krusnė, as well as the local Catholic Church’s choir. On weekends, I take a town shuttle to the 2 markets and am happy to say I have become friends with the vendors and taxi drivers. I also attend a batik class on the weekends. Many of my adult students have become close friends of mine. For example, a student in my senior class is my ping pong partner, and we practice about twice per week. I love attending as many local cultural events as possible. Visaginas is home to a large Russian community and a proud Lithuanian community. Cultural events here are so diverse and interesting for me. I am very lucky to get to experience 2 vastly different cultures at once. Additionally, my landlady has become one of my closest friends here. She, her husband, and her 1-year-old son have become my family away from home. They often let me babysit and cook a lovely Lithuanian dinner for me as a “thank you.” On my birthday, my landlady drove me to a nearby farm to visit the baby animals and see how Lithuanians live in the traditional villages. 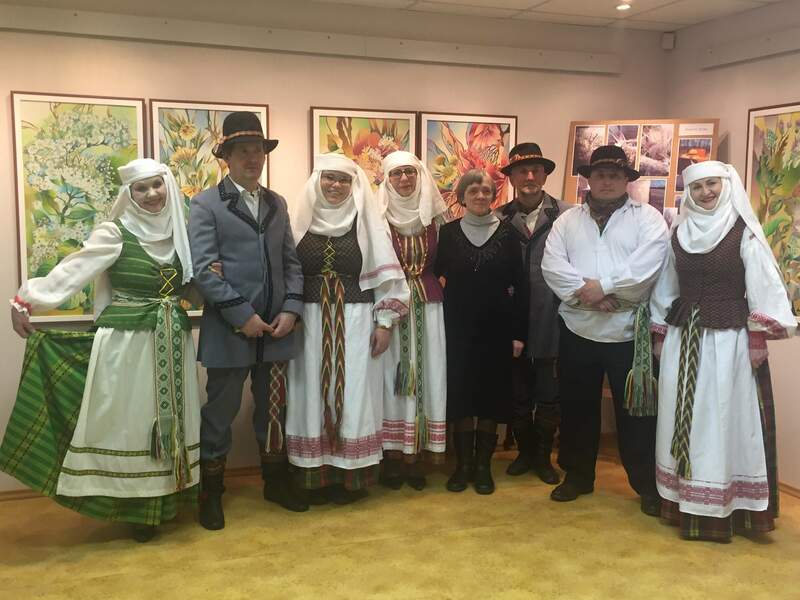 Veronica (third from the left) is very involved in her local community, even joining the Culture Center’s Folklore Ensemble, Krusnė. I could already cry at just the thought of having to leave in under 3 months. Although I have only been in Lithuania for 6 months, I feel such a deep connection with the friends and students I have met. I know that the biggest challenge will be leaving. As for a challenge in Visaginas, I constantly feel like I want to do more. I want to maximize the value and effectiveness of my limited time here even though my schedule is already very full. The biggest highlight for me has been realizing that the sky is truly the limit, as I get to do as much as I want. I can be self-motivated and do as much as possible if I just say “yes” to every opportunity I find. Due to this attitude, I have met so many amazing people. I am lucky to be in such a small town where I know so many people. I have had such unique opportunities that I would not normally have in the US. For example, I had lunch with the Harlem Globetrotters before their presentation in Visaginas. 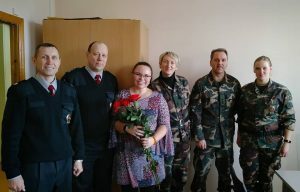 I have also experienced Embassy events, the 100 year birthday of Lithuania, a wonderful Kaziuko Muge festival in the capital city (Vilnius), International Women’s Day, the opening day of the Visaginas lake ice skating and swimming, and more. Every day here in Visaginas is a new, exciting experience. I have become very close with a senior Lithuanian teacher in school who is mentoring me as I learn the Lithuanian language and culture one-on-one. Veronica teaches 3 adult classes, including one for border guards at the town’s nuclear power plant. 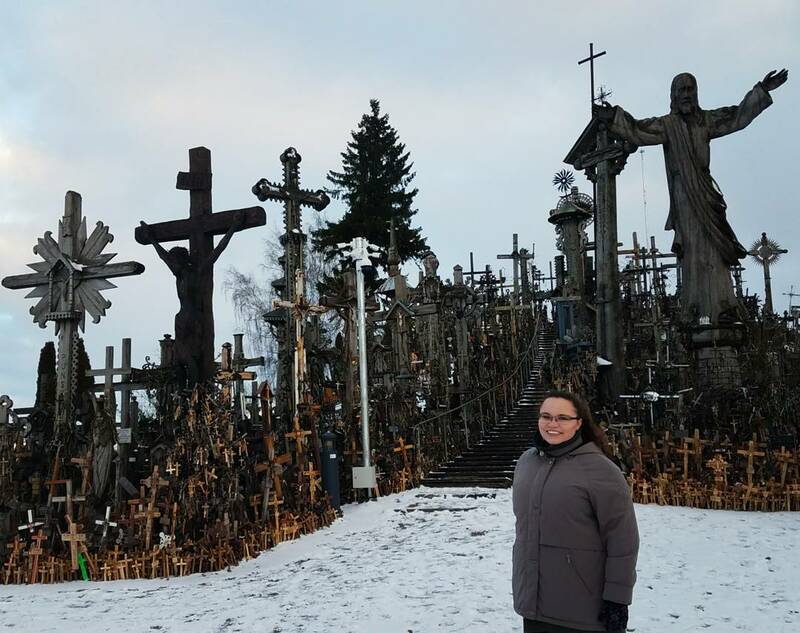 Why should prospective grantees apply to work in Lithuania? It has been such a blessing to work among the first ever class of ETAs in Lithuania. It is a special opportunity to go to a country without much ETA experience. You can get so much out of your time here as you are not confined to a very structured program. Lithuanians truly do appreciate us here, and all the people I have met have welcomed us ETAs with open arms. How have your experiences in Lithuania changed you? I would love to extend this opportunity another year if possible! I cannot imagine going back home in under 3 months as I feel like I have just arrived in Lithuania. Although I have been working hard for 6 months here already, I continue to meet new people every day, learn more about those I have connected with and more about Lithuania, and share more about the US and myself along the way. I will miss this great country so much and know that I always have a second home away from home. Veronica Pidduck is from Point Pleasant Beach, New Jersey. She graduated from Stevens Institute of Technology in May 2017 with a B.S. in Pure & Applied Mathematics and Minors in Science, Technology & Society and Visual Arts & Technology. 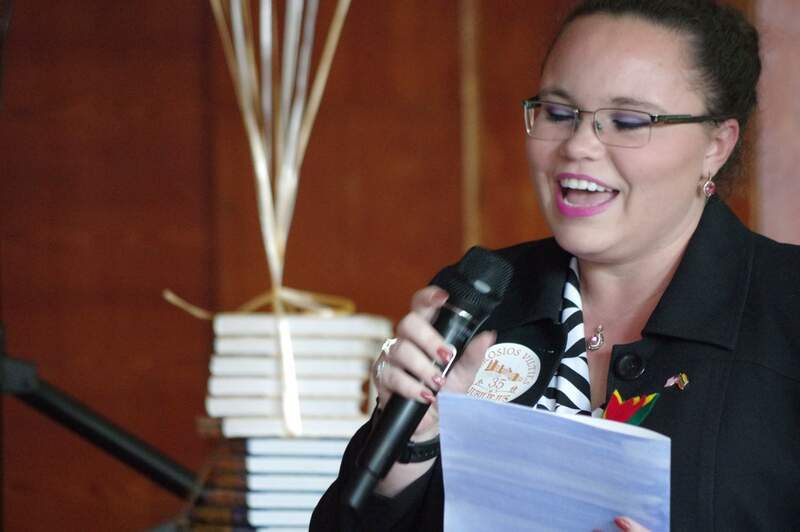 After her Fulbright experience, Veronica plans to pursue a career using her math and science background.